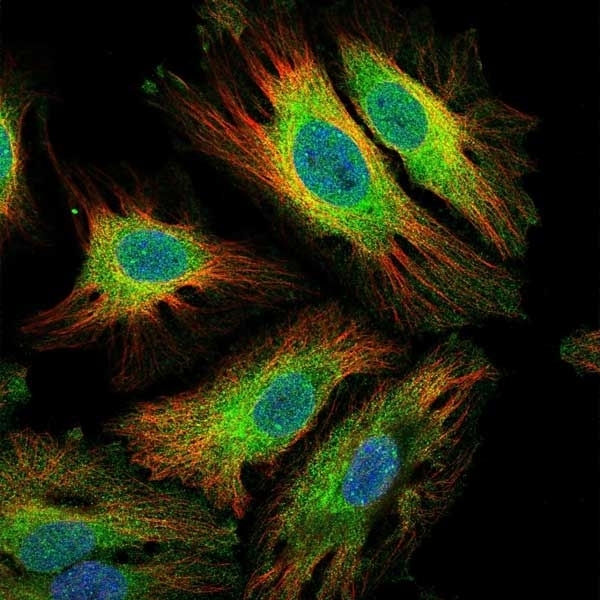 Rabbit anti Human Interleukin-6 antibody is specific for human IL-6 (Interleukin-6), a 184 amino acid multifunctional pro-inflammatory cytokine, secreted by activated T cells, macrophages, endothelial cells, fibroblasts and osteoblasts. The diverse biological properties of IL-6 include the principle inducer of the acute phase response in the liver, stimulation of B cell differentiation and subsequent immunoglobulin production, promotion of hybridoma growth, regulation of bone metabolism and stimulation of energy mobilization in muscle and fatty tissue. IL-6 signals through a membrane bound receptor complex consisting of the ligand-binding IL-6Rα chain (CD126) and the signal-transducing component gp130 (CD130), but can also stimulate cells expressing gp130 through a soluble IL-6R. 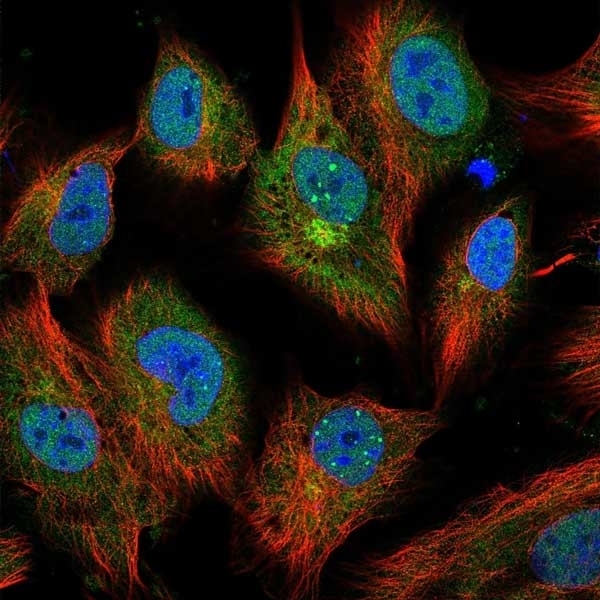 Rabbit anti Human Interleukin-6 antibody has been shown to inhibit the biological activity of Human IL-6. Antisera to human IL-6 were raised by repeated immunisations of rabbits with highly purified antigen. Purified IgG prepared by affinity chromatography. Storage in frost-free freezers is not recommended. This product should be stored udiluted. Avoid repeated freezing and thawing as this may denature the antibody. Should this product contain a precipitate we recommend microcentrifugation before use. 1 To yield one-half maximal inhibition [ND50] of the biological activity of Human IL-6 (1.0 ng/ml). 2This product requires heat-mediated antigen retrieval prior to staining paraffin-embedded sections. Citrate buffer, pH6.0, is recommended for this purpose. 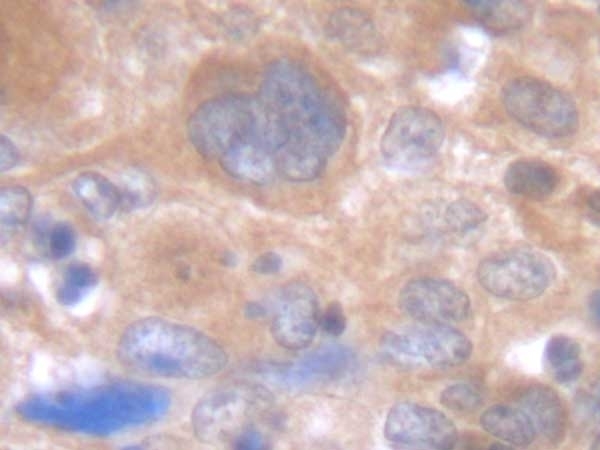 This biotinylated rabbit anti human IL-6 may be used in a direct ELISA or as the detection reagent in a sandwich ELISA with our purified human IL-6 antibody (AHP1040) as the capture reagent and recombinant human IL-6 (PHP045) as the standard. 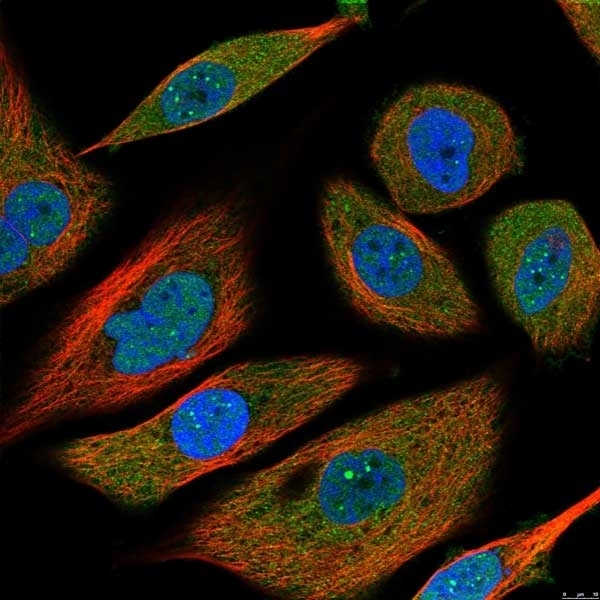 Purified rabbit anti human IL-6 may be used in an indirect ELISA or as the capture reagent in a sandwich ELISA with biotinylated rabbit anti human IL-6 (AHP1040B) as the detection reagent and recombinant human IL-6 (PHP045) as the standard. Yasukawa, K. et al. (1987) Structure and expression of human B cell stimulatory factor-2 (BSF-2/IL-6) gene. EMBO J. 6 (10): 2939-45. Peters, M. et al. (1998) Interleukin-6 and soluble interleukin-6 receptor: direct stimulation of gp130 and hematopoiesis.